With the United States involved in World War I, the government ordered Major League Baseball to finish its regular season by Labor Day, which meant the 1918 World Series was the first (and so far, only) Fall Classic played completely in September. Boston's Babe Ruth opened the World Series with a 1-0 shutout, Hippo Vaughn taking the hard-luck loss. The game's only run scored in the fourth, when Stuffy McInnis' single to left field plated Dave Shean. Ruth allowed six hits, Vaughn five. The Cubs did all their Game 2 scoring in the second inning, with Bill Killefer's RBI double and starter Lefty Tyler's two-run single. Tyler didn't allow the Red Sox a run until the ninth inning, thus earning credit for the 3-1 decision. Hippo Vaughn took his second loss of the World Series in Game 3, despite allowing just two runs over nine innings. Boston submariner Carl Mays was just a little better, allowing seven hits (same as Vaughn) and but a single run. 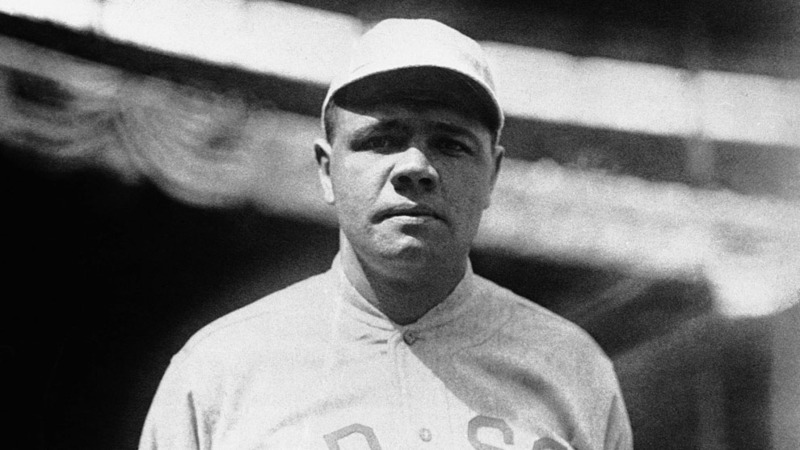 The World Series shifted to Boston for Game 4, Babe Ruth extended his scoreless-innings streak -- stretching back to 1916 -- to 29 2/3 innings, finally allowing a pair of runs in the eighth. That tied the contest at two runs apiece, but the Sox took a 3-2 lead in the last of the eighth, and that's how it ended. Vaughn kept the Cubs alive with a five-hit shutout in Game 5, Dode Paskert smashing a two-run double in the eighth to provide the final margin of victory, 3-0. That only delayed things a day, as Carl Mays topped his seven-hitter in Game 3 with a three-hitter in Game 6. Lefty Tyler pitched well, too, but Cubs right fielder Max Flack dropped a line drive in the second inning, which allowed a pair of Red Sox to score. Neither team scored after the fourth, the game ending 2-1, and the Red Sox had their third World Series in four years.